If you buy this VIP card then you can get 7% discount and the higher levels of customer experience for your order including the shipping fee in two years from the day of payment. In addition, we have the Gold Card in 12% discount and the Platinum Card in 15% discount which are also suitable in www. 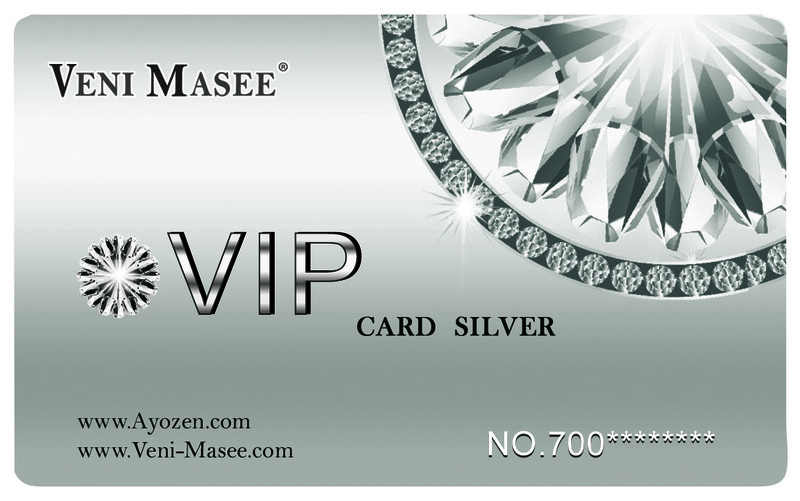 ayozen.com and www.veni-masee.com.